Fresh off yet another record-setting year, the Nissan Rogue presses on. 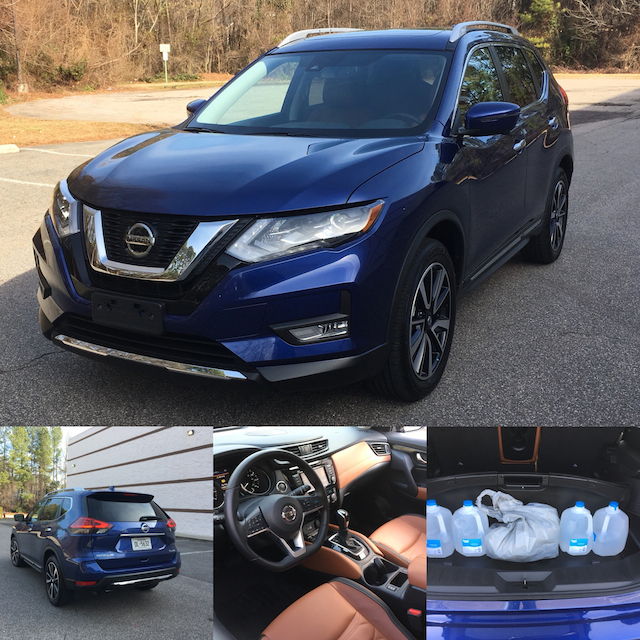 2018 Nissan Rogue SL AWD. Nissan’s most popular vehicle is no longer its midsize Altima sedan. 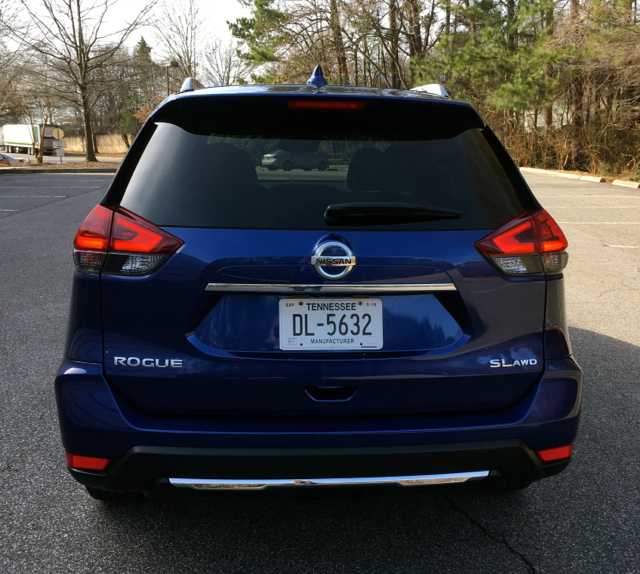 That honor belongs to the Rogue, a stylish compact sport utility vehicle now its second generation. The Rogue may have arrived late to the market, but it is now a top 10-selling model in the US. Nissan sells the 2018 Rogue in three trims: S, SV and SL. Front-wheel drive is standard; all wheel drive is available. One drivetrain choice is available: a four-cylinder engine works alongside an automatic transmission. Changes for 2018 include Android Auto and Apple CarPlay along with an additional USB port standard across the model line. Two new exterior colors, trim and package changes and a new ProPILOT Assist feature, what Nissan describes as the foundation for autonomous vehicles, round out the changes for the year. 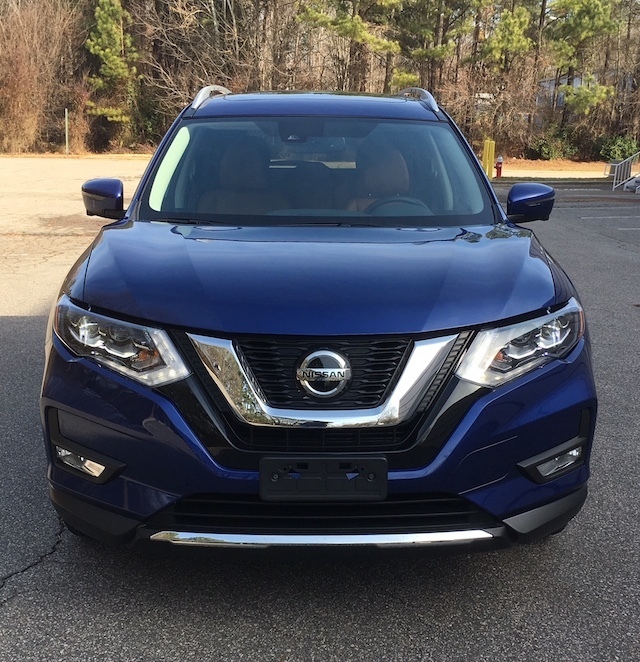 The 2018 Rogue syncs well with Nissan’s current design language, marked by a horse collar grille, rising and falling lines and handsome light treatments. Inside, the cabin is spacious, able to accommodate five, although four is the ideal. Sightlines are excellent and the controls are easy to understand and sensibly placed. You’ll find a nice selection of materials, including standard cloth seats. Fit and finish is spot on. The Nissan Rogue operates within one of the most competitive segments in all of autodom. As such, every manufacturer has a presence. The Rogue’s top competitors are the Toyota RAV4 and Honda CR-V. Other competitors include the Ford Escape, Subaru Forester, Mazda CX-5, Chevrolet Equinox, Hyundai Tucson, Dodge Journey, Kia Sportage, Jeep Compass, Volkswagen Tiguan, GMC Terrain and the Mitsubishi Outlander. Nissan also offers the Rogue Sport, a slightly smaller model that essentially fills the “white space” between the Juke and Rogue. What Drives the 2018 Rogue? 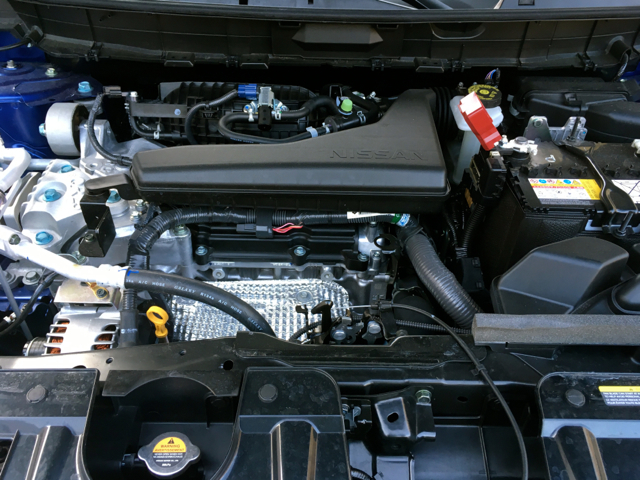 Nissan offers one powertrain combination with the 2018 Rogue. A 2.5-liter four-cylinder engine with 170 horsepower and 175 pound-feet of torque works with a continuously variable automatic transmission. While there is nothing unusual about this powertrain combination, especially for Nissan, offering just one choice is unusual. Typically, manufacturers offer two or three engine choices, but then they aren’t Nissan and have yet to figure out a winning formula to sell 400,000 units annually as the automaker currently accomplishes with the Rogue. Press on the gas pedal and the Rogue moves forward with precision, staying steady under hard acceleration and swiftly moving up to highway speed. Happily, Nissan programmed the Rogue to provide simulated shifts as you climb your way up the band curve. Gone is that feeling that you’re forever stuck in a low gear and worrying that you’ll blow a piston or damage the transmission. 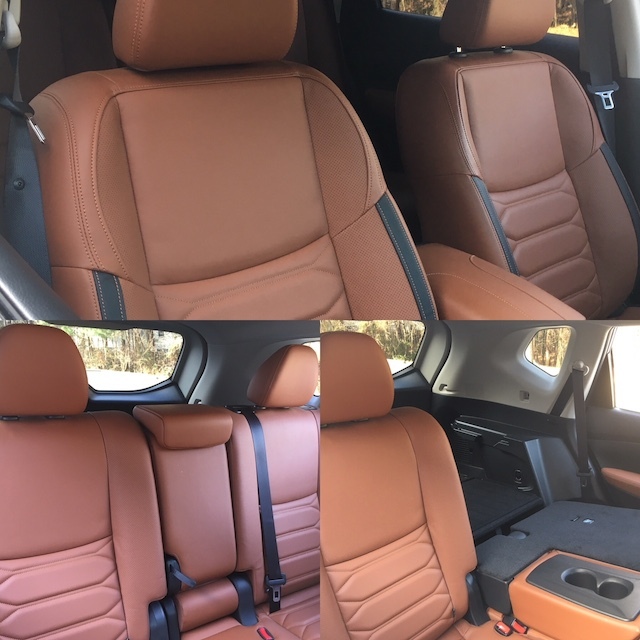 The Rogue offers a comfortable, although not outstanding ride. Steering is light to the touch and handling is what you’d expect in this segment — you’ll experience some body roll when navigating tight turns or tackling twisty roads. The 2018 Rogue is also one of the most efficient models in this segment thanks in part to the CVT. Nissan offers a fairly narrow price range between the base on top model — $7,730 to exact. Add $1,220 for all-wheel drive on the Rogue S or $1,350 with the other two trims. All models incur a $975 destination fee as reflected in our prices. There are no packages available with the base model. Choose the SV trim and you’ll find an SV Premium Package ($1,490, with navigation, traffic and travel reports, adaptive cruise control, a surround view monitor and a heated leather-wrapped steering wheel). Building on the SV Premium Package is the SV Sun and Sound Touring Package ($3,220, with a nine-speaker Bose audio system and a power panoramic moonroof). The Midnight Edition is a $1,095 upgrade, bringing blacked-out touches or highlights to the grille, side mirrors, roof rails and crossbars, and illuminated kick plates. If you consider the SL model, it comes well equipped. That said, you’ll find three packages, including an SL Premium Package ($1,820, with LED headlights and a power panoramic moonroof). The SL Platinum Package ($790, with 19-inch aluminum-alloy wheels, electronic parking brake and Nissan ProPILOT assist) and the SL Platinum Reserve Interior Package ($250 for tan leather-appointed seats with piano black twin and quilted leather inserts) round out the package options. Nissan prices the base model at $25,775. This model comes with halogen headlights, daytime running lights, 17-inch steel wheels, power-controlled side mirrors, and front and rear spoilers. Inside, cloth seats are standard with a 40:20:40 split fold-down bench seat in the second row. Power windows and door locks, a tilt and telescopic steering column and air conditioning are all included. This model also supplies NissanConnect telematics, a four-speaker audio system, satellite radio, CD player, Bluetooth and USB connectivity. The SV edition starts at $26,995. For just an additional $1,220, the SV adds such features as automatic headlights, heated side mirrors, roof rails, 17-inch aluminum wheels, and a motion-activated liftgate. This trim adds remote start, a power driver’s seat with lumbar support, driver and front passenger illuminated and sliding visors, dual-zone climate control, heated front seats and a six-speaker audio system. You’ll pay from $32,155 for the Rogue SL. This model delivers front fog lights, high-beam assist, 18-inch aluminum-alloy wheels, leather-appointed seating, a 9-speaker Bose audio system, navigation, adaptive cruise control, automatic emergency braking with pedestrian detection, lane intervention and lane departure warning. My test model was an SL AWD outfitted with every conceivable option and retailing for $36,520. Only the Rogue SL offers ProPILOT Assist, what gives drivers a taste of semi-autonomous driving. It is truly a “hands on” driving experience, although if you position your hands loosely on the steering wheel, you’ll gain a few seconds of hands-free driving feel before the system warns you to take a firm hold of the steering wheel. My adventures with ProPILOT Assist were initially on back roads where cattle and equine were my only companions. Later, I gave the system a try on a relatively busy state highway separated by dividers. Each time, the system “read” the middle and side lines, keeping the Rogue centered. The system employs a forward-facing camera and forward-facing radars, sensors and an electronic control module to keep the Nissan centered as well as sufficiently spaced behind the vehicle in front of it. It is a two-button system, which means you need to push the steering wheel shaped button at the base of the dashboard to the left of the steering column and a switch on the steering wheel. When activated, you’ll immediately see notification of same on the instrument panel. Nissan says the system is ideal for reducing the number of steering inputs as well as potentially reduce driver fatigue. ProPILOT Assist works as advertised, but it will automatically cancel if the roads are slick or if you decide to let go of the steering wheel. Again, it is a hands-on driving tool and you can always override the system. Nissan found a working (and winning) formula for the Rogue, keeping it simple for its customers. Auto Trends almost always recommends shoppers begin their new car search at least one step above the base model. Although that holds true here, even the S edition offers Apple CarPlay and Android Auto compatibility. But the SV offers too many extras for just $1,220 more to not start there. All in all, the 2018 Nissan Rogue is a formidable competitor in a brutal segment. Brutal for automakers, but a boon for savvy shoppers.